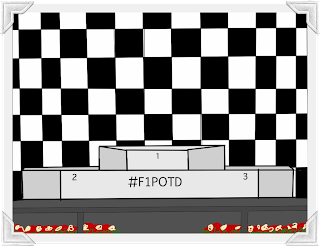 As well as hosting Pit Stop Radio, I also run @F1_Fans_Updates with the intention of finding other like minded F1 fans and helping to bring the F1 Family together with my daily F1 Poll, #F1POTD. What started off as a dream has developed into a reality and in just over 3 years, @F1_Fans_Updates has gained the support of 11,500 (and counting) followers, which is more than I could have ever dreamed and something which I am very thankful of. 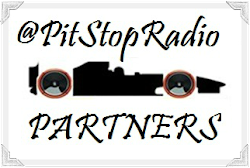 So come join the F1 Family for F1 News and LIVE updates from EVERY race! 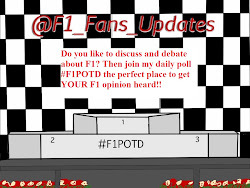 Also enjoy plenty of debates/banter in the #F1POTD... All F1 fans welcome! Trying to bring you the latest news on F1 and a bit “extra” by sharing useful information for the fans which they might not know yet. From facts to livestreams. All motorsport, all day. 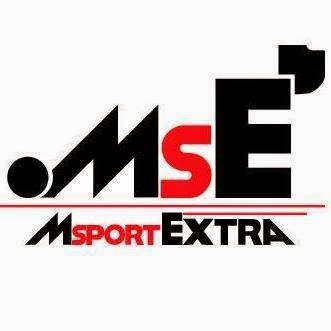 Follow MSportExtra (Duurt) to keep up with the fast world of motorsport. 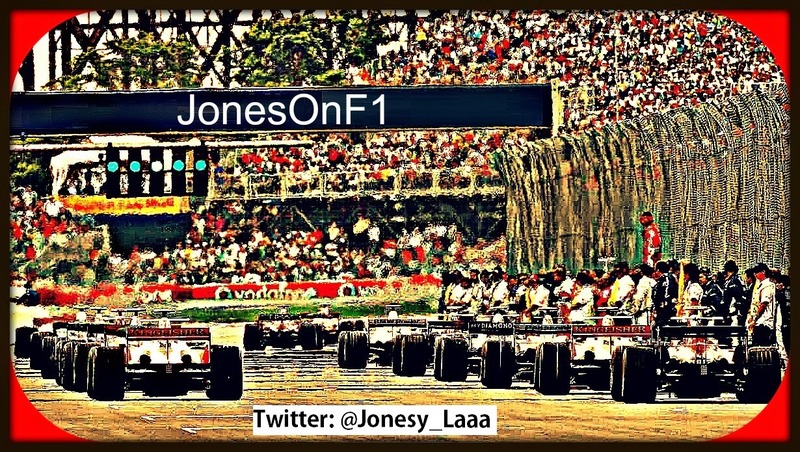 JonesOnF1 started off as an experiment in 2008 by Sarah as she wanted to get her views about Formula 1 (the sport she has been passionate about since 1997) heard. Five years on, the website is going from strength to strength and Sarah really enjoys sharing her opinions about Formula 1, whether it be a race weekend, testing or just news. Even though Sarah is McLaren fan, she aims to be as unbiased as possible and her goals for this season is to keep everyone up to date with the latest F1 news, qualifying and race reviews, and generally anything to do with Formula 1. 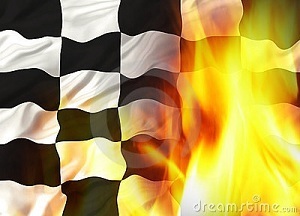 The best Formula 1 fan page on Facebook and Google+, with news, images, videos and curiosities (and memes of course!) about the best sport on the planet. Managed by a group of true die hard F1 fans around the globe, the page is aimed at providing a comfortable, friendly and cheerful environment to Formula 1 fans on the internet, discussing the performance and perplexities about their favourite drivers and/or teams. 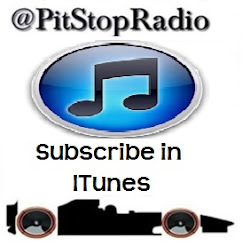 The page also provides excellent live updates & commentary during races and qualifying, for people unable to follow the race live or fans who want to have a conversation with other fans during live action. 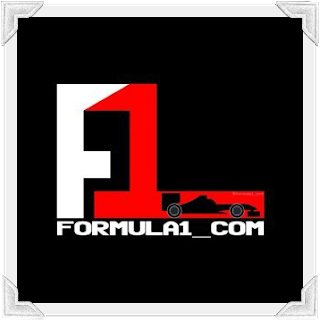 @Formula1_com is run by @TheF1Tweeter and specialises in bringing you the best and quickest news from the Formula 1 world via twitter and Facebook. We also provide lap by lap commentary on every qualifying session and race for when you are unable to watch the action live on the TV. We also run a YouTube channel called 5LightsF1 which has a new episode uploaded every week from our show "TheF1Project". 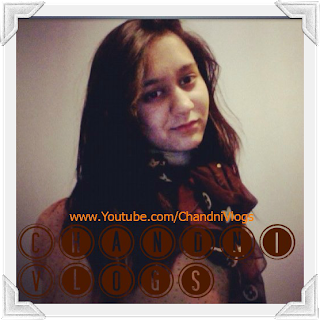 A popular YouTube channel covered by F1 Vlogger Chandni Patel. Only started since the European Grand Prix in 2012, these vlogs have been viewed a total of over 48,000 views, and still growing as the days go by. Videos are uploaded every race weekend after each practice session, qualifying session and race, giving an analysis and general overview on the most interesting parts of each session, along with additional videos on the latest news and F1 updates. The main goal for the channel was to create a race diary so that each grand prix could be looked at and archived with the highlights going into the future. Alongside this it became a popular place for many F1 enthusiasts and fans to talk about F1 and sharing opinions on the popular sport. F1-LiveStream is run by Etienne who has been following Formula 1 since he was 9 years old after he went to the Grand Prix at Zandvoort. Etienne started on Twitter in May 2011 with less than 100 followers. Now 2 years later an amazing extra 2000 has been added to that and it’s still growing every day. Through his website Etienne brings you all the news and tweets of various racing classes including Formula 1, GP2 and GP3 on a daily basis through all the different channels. Click HERE to see our Promotional Partners!